SIMON SEBAG MONTEFIORE is a historian of Russia and the Middle East. Catherine the Great and Potemkin was short-listed for the Samuel Johnson Prize. Stalin: The Court of the Red Tsar won the History Book of the Year Prize at the British Book Awards. Young Stalin won the Los Angeles Times Book Prize for Biography, the Costa Biography Award, and le Grande Prix de la biographie politique. Jerusalem: The Biography was a worldwide best seller. Montefiore’s books are published in more than forty languages. He is the author of the novels Sashenka and One Night in Winter, which won the Paddy Power Political Fiction Book of the Year Award in 2014. A Fellow of the Royal Society of Literature, Dr. Montefiore graduated from Cambridge University, where he received his PhD. He lives in London. “Charts the rise and fall of Russia's Romanov dynasty, which began in 1613 and ended with the whole royal family being shot dead in a basement in 1918. It has been painstakingly researched and the attention to historical detail is breathtaking. 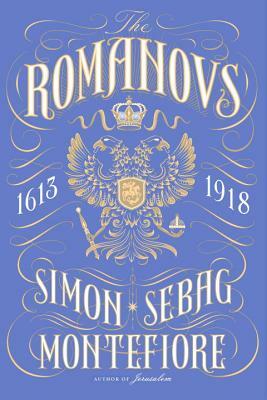 The lives of 20 tsars and tsarinas are recorded in exquisite detail through words and pictures. Although some of their escapades are not for the faint-hearted (the Russians were barbaric in their punishments) the rich and vibrant history is utterly compelling. It grabs you by the hand and thrusts you into the world of Imperial Russia with all its decadence and finery. Montefiore has become a popular presenter of BBC history programmes on subjects ranging from Jerusalem to Spain, and here his clear, concise narration and wonderful tone make this a delight to read. Ideal for students of history or for those just seduced by the BBC's version of War and Peace and wanting to brush up on their history." "The dynasty is a marvellously rich bag of deshabille, despotism and diplomacy as Montefiore's feisty history brilliantly shows.. Countless illuminating details gleaned from archives stud the pages of The Romanovs . . . The gems are priceless . . . Immensely enjoyable full-blooded and totally enthralling."